Oh, no! 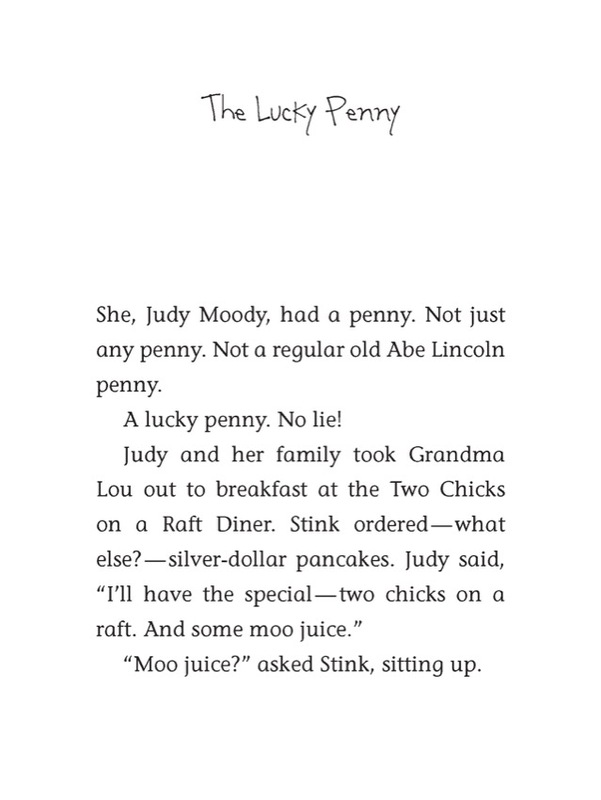 Judy Moody’s lucky penny just did a belly flop into a porcelain bowl of yucky, blucky UN-luck. Has the coin’s magic gone kerflooey? 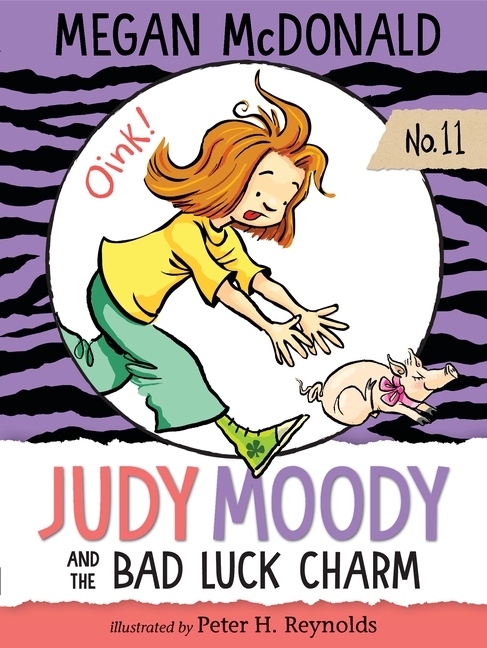 Are some people, like Jessica Finch or Stink, destined to have all the luck, while she, Judy Moody, gets stuck with a yard full of three-not-four-leaf clovers, a squealing potbellied pig in an elevator, and a squashed penny with cooties?